A list of great website wireframe examples are gathered on this page to inspire more web designers. 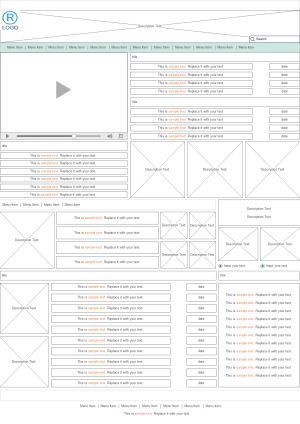 Lots of time will be saved by modifying the layout of existing wireframe examples, rather than start everything new. It's effective to use wireframes when starting a web site design project, as it allows you to focus on the layout without the distraction of color, type and other design elements. Wireframing tool helps you visually create a prototype of your future website using the blocks in the framework. Through Edraw Max, all the wireframe templates can be easily customized, just download and add pre-made shapes, resize or move shapes, and change texts. A professional website wireframe will be done in just minutes. When it's done, you can easily print or export the diagrams to PDF, Microsoft word, excel, PPT formats, or save them as images. Click here to see how to print and export cross-functional flowchart files. Users can create nice looking website wireframes fast and easily by using this editable template together with various built-in wireframe symbols in Edraw. You can download and modify the template for your own use through the following download link. Another website design wireframe example is well prepared on the right, which might stimulate your creativity in website designing. 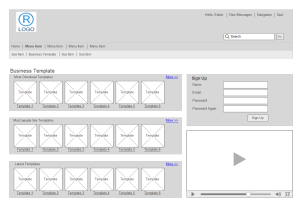 A social news website wireframe example is provided for reference. Anyone can download use this editable template for a fast website design. 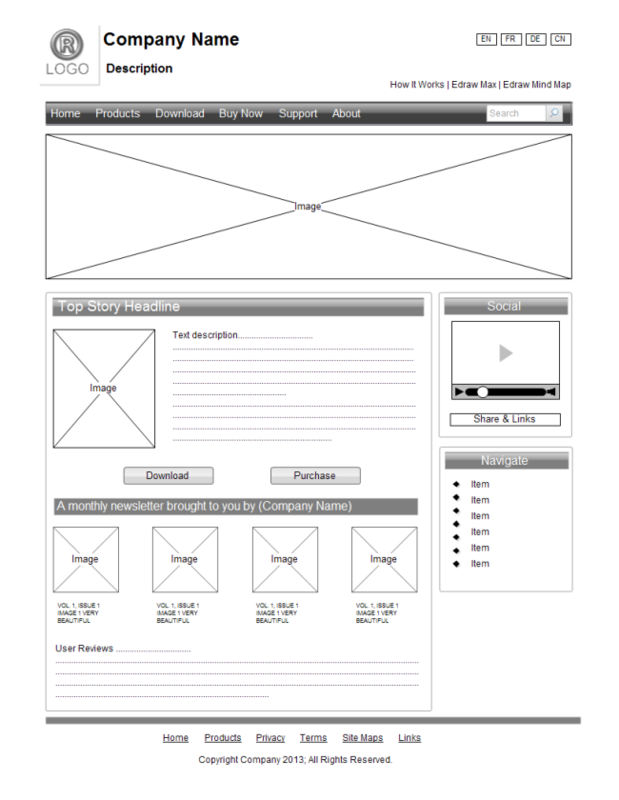 Edraw offers this website wireframe template to help users with more ideas in website designs. Discover why Edraw is an excellent program to create website wireframes. Try Edraw FREE.